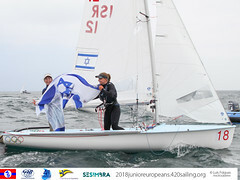 Impressive performances from Sweden's Johan Molund/Sebastian Ostling (SWE) and Great Britain's Sophie Weguelin/Eilidh McIntyre secured their wins at Delta Lloyd Regatta, Medemblik, Netherlands on 29 May 2015. 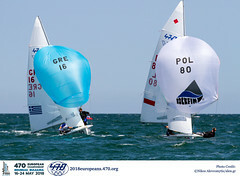 The eight race series featured seventy-six 470 teams in a mix of weather conditions. It was been a tough, windy week. The IJselmeer - with its shifty, gusty breeze and short, sharp, unsympathetic chop - always asks the hardest questions of these accomplished sailors. Which is why they keep on coming back, year after year, for more high-quality competition. Next year’s event takes place 24-28 May 2016. 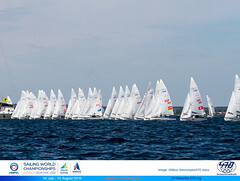 Delta Lloyd Regatta was also event 3 of the EUROSAF Champions Sailing Cup.